The picture below is a great example of looking at a photo and not knowing what is going on in the rest of the scene. Two happy girls sat on a bag of corn watching what's going on. 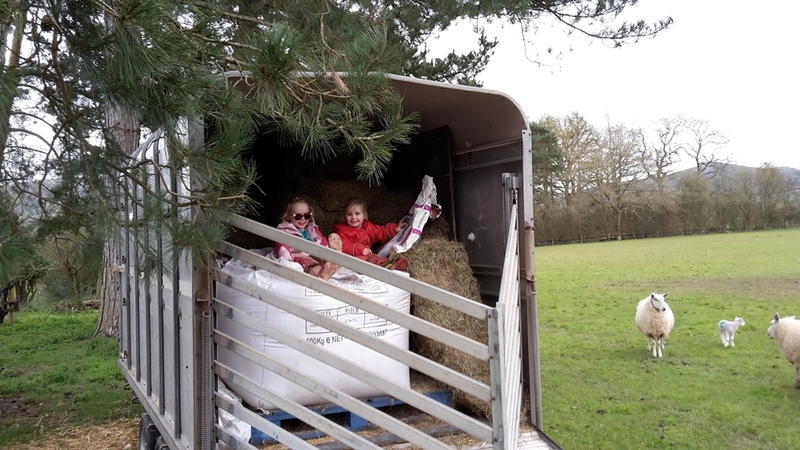 Just out of shot is their dad and granddad dragging a dead sheep out of the shed while they watch onwards! You can't buy an upbringing like this! what a fantastic place to grow up! You are showing your girls the real world, and that is priceless. Madee laugh out loud there. For all the right reasons! Apparently when I picked my eldest up from nursery today her teacher came over to me laughing saying that she had said that "A sheep had died because a baby didn't pop out of it's tummy"!